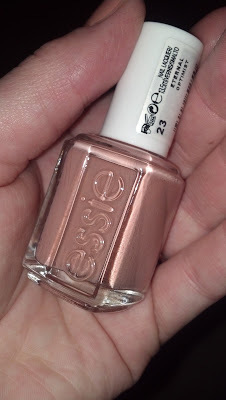 I am loving this Essie polish, in fact I am loving Essie nail polishes a lot at the moment. They have a fantastic choice of colours, the finish is glossy and salon gel like and best of all dries incredibly quickly! I don't think I've found a polish that dries this quickly, the only downside I find with Essie is that they smell quite strong and chemically so apply in a well ventilated room! This shade is 'Eternal Optimist 23' , I would describe it as a dusky pinky/peach colour, almost natural but yet with really nice warm undertones, I think it would look amazing with any skin tone, it is such a wearable shade for both day and evening. It's an absolutely essential shade for any nail polish collection and should we ever see a hint of sunshine it's a perfect spring colour. Batiste vs. Cussons - The Dry Shampoo Showdown!